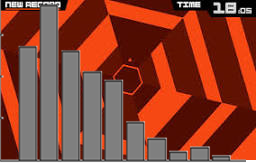 How long will it take me to beat Super Hexagon? Will I ever beat Super Hexagon? I collect some data, calculate some statistics, construct a disjoint failure-rate model, and find out!